Walking is easy to do, and offers wonderful health benefits for young and old. One of the biggest steps forward for health is also one of the simplest ones — daily walking. It is an inexpensive form of exercise, as all you need is a pair of walking shoes. Walking is a good starting point for sedentary individuals to gradually increase physical activity. Not only is it a low-impact exercise suitable for all age groups and fitness levels, it is convenient and accessible to everyone. You can easily weave walking, a regular physical activity that is recommended by HPB, into your daily life. 10,000 steps has been suggested as a daily goal, which adds up to about eight kilometres — a number that is commonly associated with a basic level of fitness. Another way of looking at it is as a guideline of 150 minutes of moderate- to vigorous-intensity physical activity a week, with each bout of activity lasting at least 10 minutes. The idea is to make daily physical activity a habit and part of your lifestyle. A study in 2010 found that after eight months of trying to walk 10,000 steps a day, 67% of participants reported an increase in fitness and energy levels. Many also lost weight and reduced their blood pressure. On the other hand, being sedentary and sitting for too long can increase your risk of all sorts of health problems, including type 2 diabetes, cancer and heart disease. For instance, sitting for over eight hours a day can lead to a 90% increased risk of type 2 diabetes. You can use a smartphone activity app, a wearable fitness tracker or a pedometer to keep track of how many steps you have taken. While it is recommended to aim for 10,000 steps daily, any increase in physical activity is good for your health, particularly for people who are used to being inactive. Walking, like dancing, cycling, jogging, swimming and playing basketball, is an aerobic activity that makes you breathe harder and your heart beat faster. As a result, it will increase heart and lung, or cardiorespiratory fitness. Get in shape and lose weight. Brisk walking is a low impact way to lower your BMI and reduce your waist size. Improve sleep quality. Being active in the day will help you to sleep better at night. Decrease hypertension, reduce the risk for heart attacks, strokes, type 2 diabetes and heart disease. Reduce stress. Walking is found to improve quality of life for depressed middle-aged women, who reported feeling more energised and more sociable after walking. Another study found that taking a walk during lunch hour can have a significant impact on your mood and help reduce work-related stresses. Slow down mental decline. Older people who exercised regularly experienced a slower rate of mental decline. In addition, exercising can help to increase your gray matter in the areas of complex thought and decision making. Make walking a daily habit. Try breaking it up into several short walks a day so that it doesn’t seem so daunting. For instance, you can take the stairs instead of the lift, or give your legs a stretch with a jaunt to your favourite lunch spot instead of driving or taking public transport, and enjoy an evening stroll in the park with your family after dinner. Walk in the mall, by brisk walking along the corridors of a shopping mall in the morning before the shops open for business. Walk up the stairs instead of the taking the lift. Take the scenic route and walk a longer route to and fro your office, at the start of the work day and after work. Find a walking partner, like a friend, colleague or neighbour, so that you can talk to someone as you walk and to keep you motivated. Multi-task and make phone calls, or listen to your favourite music or podcasts on your smartphone or MP3 player. Join a walking group. Connect with other walkers on websites like: http://www.meetup.com/topics/walkers/sg/singapore/. Remember that the journey of 10,000 steps begins with a single step. What are you waiting for? Why not sign up for the National Steps Challenge™ Season 2 to get your feet moving and your adrenaline going? More information is available at www.stepschallenge.sg. No Time to Clock 10,000 Steps? No Problem! NewsCore (2010, Feb 22). Study: 10,000 Steps a Day Is Good for You. Fox News. Biswas, A., Oh, P. I., Faulkner, G. E., Bajaj, R. R., Silver, M. A., Mitchell, S., et al. (2015, Jan 20). Sedentary Time and Its Association With Risk for Disease Incidence, Mortality, and Hospitalization in Adults: A Systematic Review and Meta-analysis. Annals of Internal Medicine, 162(2), 123-132. Heesch, K. C., Gellecum, Y. R., Burton, N. W., Uffelen, J. G.Z., Brown, W. J. (2015, Mar). Physical Activity, Walking, and Quality of Life in Women with Depressive Symptoms. American Journal of Preventive Medicine, 48(3), 281-291. TThøgersen-Ntoumani, C., Loughren, E. A., Kinnafick, F. E., Taylor, I. M., Duda, J. L., Fox, K. R. (2015, Dec). Changes in work affect in response to lunchtime walking in previously physically inactive employees: A randomized trial. Scandinavian Journal of Medicine & Science in Sports, 25(6), 778-787. Killgore, W. D.S., Olsen, E. A., Weber, M. (2013, Dec 12). Physical Exercise Habits Correlate with Gray Matter Volume of the Hippocampus in Healthy Adult Humans. Scientific Reports, (3), 1-6. Meetup. (n.d.). Walking Meetups in Singapore [Website]. Level up and reap rewards! Hit your fitness goals faster with a community to train with, and earn privileges to some of Singapore’s sporting events! Staying healthy? Game on!Five old-school games to jumpstart your way into shape while having fun with your loved ones! You can prevent fallsFalls can be serious and lower your quality of life. Stay mobile and independent by reducing your risk of falls. <a href="https&#58;//www.healthhub.sg/programmes/64/burn-calories-with-every-step" title="Burn Calories With Every Step">10,000 steps</a> has been suggested as a daily goal, which adds up to about eight kilometres — a number that is commonly associated with a basic level of fitness.</p><p>Another way of looking at it is as a guideline of <a href="https&#58;//www.healthhub.sg/live-healthy/386/150minutes" title="Aim For 150 Minutes Of Physical Activity Every Week">150 minutes of moderate- to vigorous-intensity physical activity a week</a>, with each bout of activity lasting at least 10 minutes. 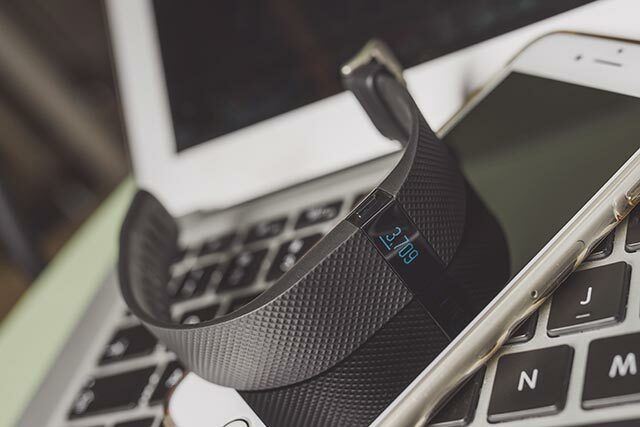 The idea is to make daily physical activity a habit and part of your lifestyle.</p><p>A study in 2010 found that after eight months of trying to walk 10,000 steps a day, 67% of participants reported an increase in fitness and energy levels. Many also lost weight and reduced their blood pressure<a href="#footnotes"><sup></sup></a>.</p><p>On the other hand, being sedentary and sitting for too long can increase your risk of all sorts of health problems, including <a href="https&#58;//www.healthhub.sg/programmes/87/diabetes-mellitus" title="Beat Diabetes Step By Step">type 2 diabetes</a>, cancer and heart disease. For instance, sitting for over eight hours a day can lead to a 90% increased risk of type 2 diabetes<a href="#footnotes"><sup></sup></a>. <img src="/sites/assets/Assets/Categories/Exercise%20N%20Fitness/activity-tracker-placed-on-laptop.jpg" alt="smartphone, smartwatch on a laptop keyboard" style="margin&#58;5px;" /> </div><p>You can use a <a href="https&#58;//www.healthhub.sg/live-healthy/1246/is-an-activity-tracker-necessary" title="Is an activity tracker necessary? 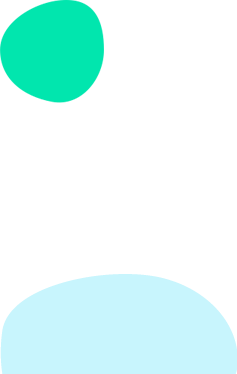 ">smartphone activity app, a wearable fitness tracker or a pedometer</a> to keep track of how many steps you have taken.</p><p>While it is recommended to aim for 10,000 steps daily, any increase in physical activity is good for your health, particularly for people who are used to being inactive.</p><p>Walking, like dancing, cycling, jogging, swimming and playing basketball, is an aerobic activity that makes you breathe harder and your heart beat faster. As a result, it will increase heart and lung, or cardiorespiratory fitness.</p><p>Besides being good for your general fitness, walking has other health benefits that include the following&#58;</p><ul><li>Get in shape and lose weight. Brisk walking is a low impact way to lower your BMI and reduce your waist size. </li><li>Improve sleep quality. 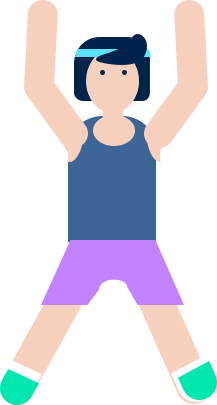 Being active in the day will help you to <a href="http&#58;//www.healthhub.sg/live-healthy/510/sleep" title="Sleep"> sleep better</a> at night. </li><li>Decrease <a href="http&#58;//www.healthhub.sg/a-z/diseases-and-conditions/53/highbloodpressure" title="High Blood Pressure"> hypertension</a>, reduce the risk for <a href="http&#58;//www.healthhub.sg/a-z/diseases-and-conditions/347/heart_attach_nuhs" title="Heart Attack"> heart attacks</a>, <a href="http&#58;//www.healthhub.sg/a-z/diseases-and-conditions/87/stroke" title="Stroke"> strokes</a>, <a href="https&#58;//www.healthhub.sg/programmes/87/diabetes-mellitus" title="Beat Diabetes Step By Step">type 2 diabetes</a> and heart disease. </li><li>Reduce <a href="http&#58;//www.healthhub.sg/live-healthy/426/10easywaystomanagestress" title="10 Easy Ways to Manage Stress"> stress</a>. Walking is found to improve quality of life for depressed middle-aged women, who reported feeling more energised and more sociable after walking<a href="#footnotes"><sup></sup></a>. 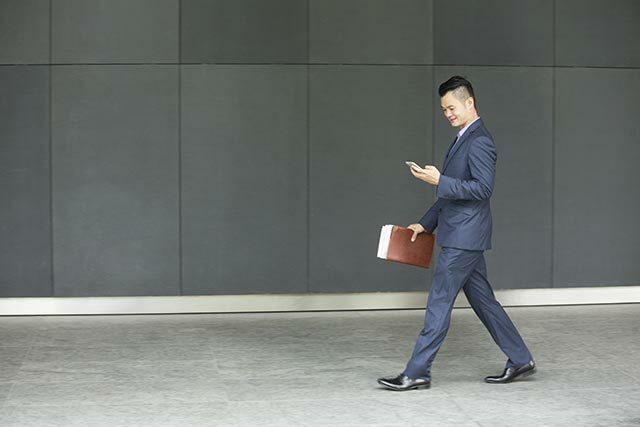 Another study found that taking a walk during lunch hour can have a significant impact on your mood and help reduce work-related stresses<a href="#footnotes"><sup></sup></a>. </li><li>Slow down mental decline. Older people who exercised regularly experienced a slower rate of mental decline<a href="#footnotes"><sup></sup></a>. In addition, exercising can help to increase your gray matter in the areas of complex thought and decision making<a href="#footnotes"><sup></sup></a>. 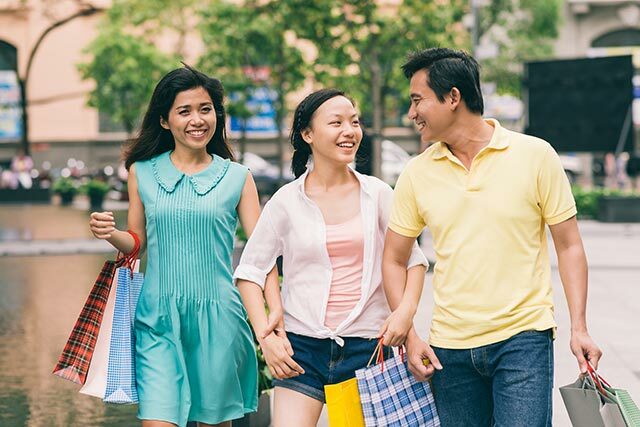 <a href="http&#58;//www.healthhub.sg/live-healthy/391/Mall%20Walking" title="Mall Walking"> Walk in the mall</a>, by brisk walking along the corridors of a shopping mall in the morning before the shops open for business. </li><li>Walk up the stairs instead of the taking the lift. </li><li>Take the scenic route and walk a longer route to and fro your office, at the start of the work day and after work. </li><li>Find a walking partner, like a friend, colleague or neighbour, so that you can talk to someone as you walk and to keep you motivated. </li><li>Multi-task and make phone calls, or listen to your favourite music or podcasts on your smartphone or MP3 player. </li><li>Join a walking group. Connect with other walkers on websites like&#58; http&#58;//www.meetup.com/topics/walkers/sg/singapore/<a href="#footnotes"><sup></sup></a>. <h2>References</h2><ol id="footnotes" style="margin&#58;0px;"><li>NewsCore (2010, Feb 22). Study&#58; 10,000 Steps a Day Is Good for You. <em>Fox News</em>. </li><li>Biswas, A., Oh, P. I., Faulkner, G. E., Bajaj, R. R., Silver, M. A., Mitchell, S., et al. (2015, Jan 20). Sedentary Time and Its Association With Risk for Disease Incidence, Mortality, and Hospitalization in Adults&#58; A Systematic Review and Meta-analysis. <em>Annals of Internal Medicine, 162</em>(2), 123-132. </li><li>Heesch, K. C., Gellecum, Y. R., Burton, N. W., Uffelen, J. G.Z., Brown, W. J. (2015, Mar). Physical Activity, Walking, and Quality of Life in Women with Depressive Symptoms. <em>American Journal of Preventive Medicine, 48</em>(3), 281-291. </li><li>TThøgersen-Ntoumani, C., Loughren, E. A., Kinnafick, F. E., Taylor, I. M., Duda, J. L., Fox, K. R. (2015, Dec). Changes in work affect in response to lunchtime walking in previously physically inactive employees&#58; A randomized trial. <em>Scandinavian Journal of Medicine &amp; Science in Sports, 25</em>(6), 778-787. </li><li>Killgore, W. D.S., Olsen, E. A., Weber, M. (2013, Dec 12). Physical Exercise Habits Correlate with Gray Matter Volume of the Hippocampus in Healthy Adult Humans. <em>Scientific Reports, </em>(3), 1-6. </li><li>Meetup. (n.d.). Walking Meetups in Singapore [Website]. <div class="ExternalClassA29DBE996FB24FEE9AFC9AC7F34F5105">Established in 2001, the Health Promotion Board (HPB) has a vision to build a nation of healthy people.